The Bond Safari, Kovalam, offers a variety of underwater experiences for those keen on exploring underwater life. It’s that time of the year when summer and vacation coincide. A family outing is definitely in the bucket list for almost every kid. Going to the beach, playing with the waves and getting soaked in water is something everyone loves to do. For those who are bored of these usual stuff and are looking for adventure, try going under the sea. Underwater diving can be a fascinating experience for the sheer beauty and quietness of the sea. The Bond Safari, Kovalam, offers a variety of underwater experiences for those keen on exploring underwater life. One of such experience is Scuba Diving. “Diving is an exciting activity which can be done by anyone even if they don’t know swimming. It is a good exercise as well. A person who dives for 20 minutes burns nearly 700 to 1,000 calories. For those who enjoy getting their feet smeared with sand or love catching the waves, this is a must-have experience. It does not require a lot of courage, extensive training or intense physical fitness,” says Jackson Peter, managing partner of Bond Safari. Diving is done under the supervision of certified trained professionals, who ensure proper training, provide diving gears and ensure complete safety. All those above 10 years can try diving. 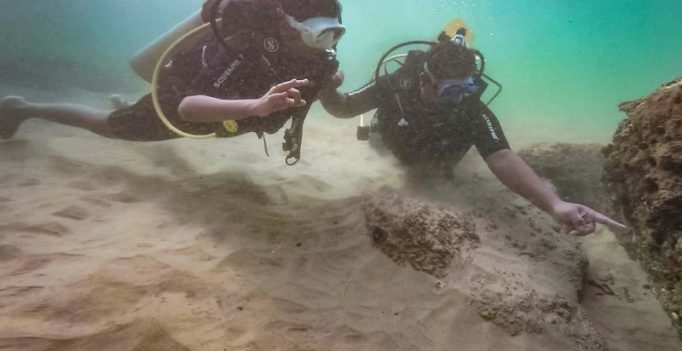 “We just have one most important instruction every diver is expected to follow – Respect the sea and keep your hands to yourself; avoid contact with any underwater creatures,” he says. Scuba can be a once-in-a-lifetime opportunity to explore the impalpable beauty of the ocean.